I'm very happy with the way he came out... great figure to paint! I've been putting the new photo setup you've seen earlier to the test... and I was very disappointed. The pictures were a bit fuzzy and the color was also off: a strange orange hue seemed to cover the miniature, and I was unable to remove this post editing. The fuzziness was probably caused by the fact that the miniature itself was to far from the camera. I had to do this because I couldn't position the lights any further to the camera. And the strange color might have been caused by the reflection of the wood of the desk next to the setup, or from the background, which was printed with a laser printer instead of an inkjet one. So tonight I decided to try to fix these problems. First of all I positioned the upper light a bit closer to the camera. I then removed the two front lights and decided to keep only one of those, fixing it on the side of the setup also, then positioning it right above the camera. To compensate for the "missing" light, and also to ensure there was light coming from below, I dug up an old trick which you have seen earlier on this blog: using tin foil. 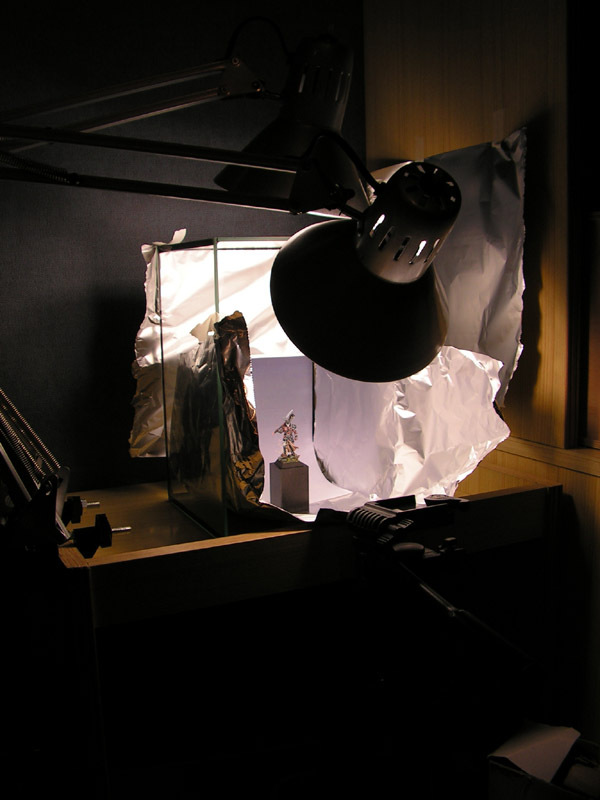 So I partially covered the inside of an aquarium (which I used as a small display cabinet years ago) with some tin foil, and also covered the wood of the desk next to the setup with the same stuff. I printed a new backdrop with my inkjet printer, put my favorite test subject in the spotlight and took the picture. 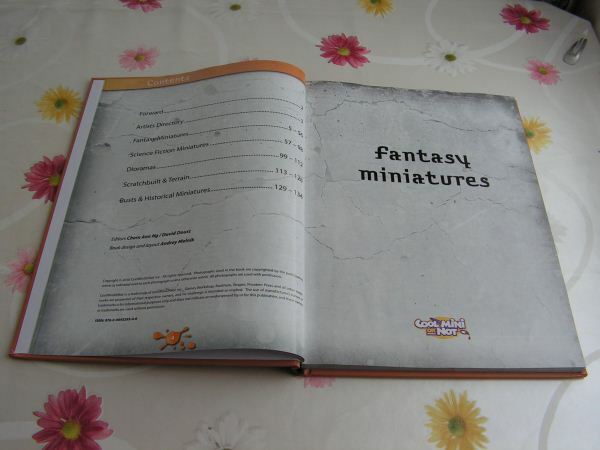 At the moment of writing there are still 167 copies left in the CoolMiniOrNot shop. If you want to buy this book after reading this review, I wouldn't wait too long because once it's sold out, it's gone forever. I believe it was a print run of 500 copies and just like the only other annual they did (which dates back to 2003) it will probably never be reprinted. 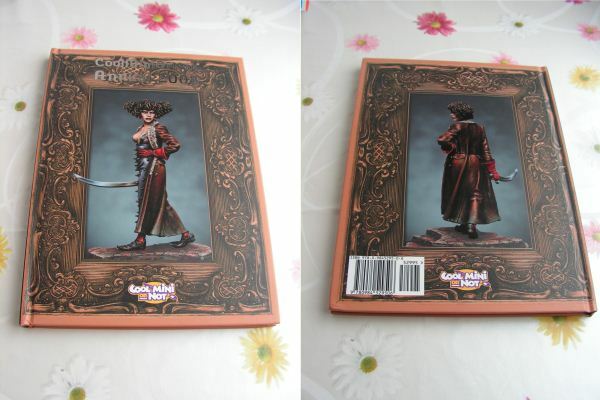 I mainly bought this book as a source of inspiration and relaxation (because I really like looking at nicely painted miniatures). Did it succeed in doing this? Yes! Did I expect more from it? Yes! First of all I wasn't really happy about the packaging. The book itself was packed in a simple cardboard box, slightly larger than the book, with some small foam pieces to fill up the gaps. 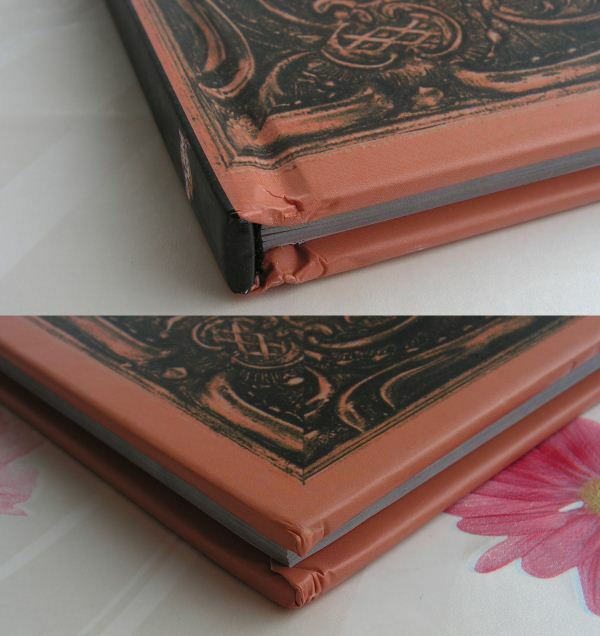 As a result of the packaging, nearly every corner of the book took a hit. Nothing really serious, I know, but some additional protection could easily avoid this. I complained about this on the CMON forums, but apart from "all books are packed in bubble wrap" and "tell the people in your post office to stop playing football with the packages" I never got a decent explanation. And it seems to be that some people indeed had a book packed in bubble wrap... If you got one I'd like to hear how your book was packed up, please leave a comment below. The book itself looks deluxe: it's a hardback with shiny lettering and a gloss finish on the outside. The layout of the pages is very well done. There are plenty of half-page and multi-angle pictures. 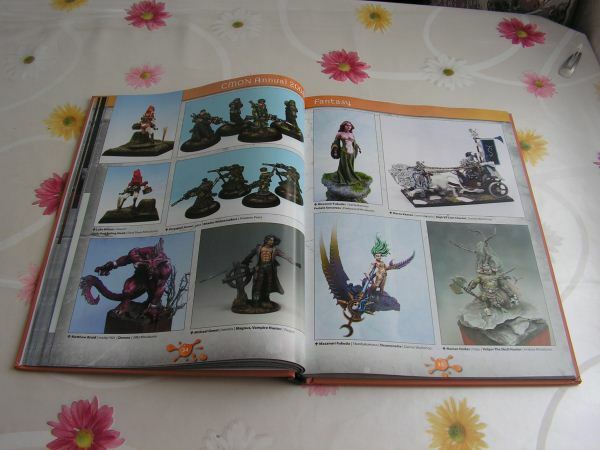 Sometimes you'll find one or two pages with miniatures painted by the same artist, sometimes a page filled with material from different people. A simple caption is put next to the picture, including the artist's real name, CMON username, a title and the manufacturer. This information is very accurate, however there are some small mistakes here and there. 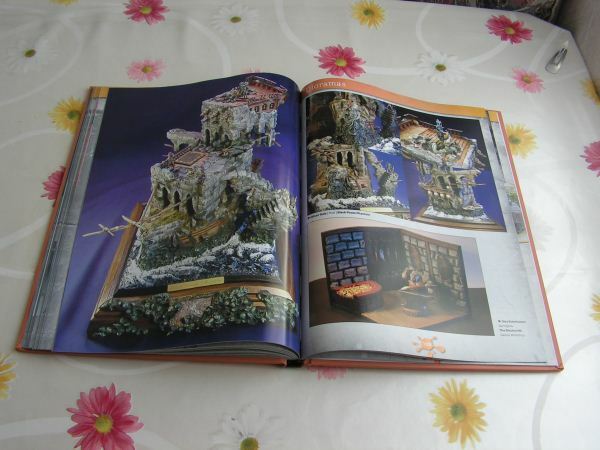 The 134 pages are split up in several sections: Fantasy, SF, Diorama, Scratchbuilt & Terrain and Historical & Busts. 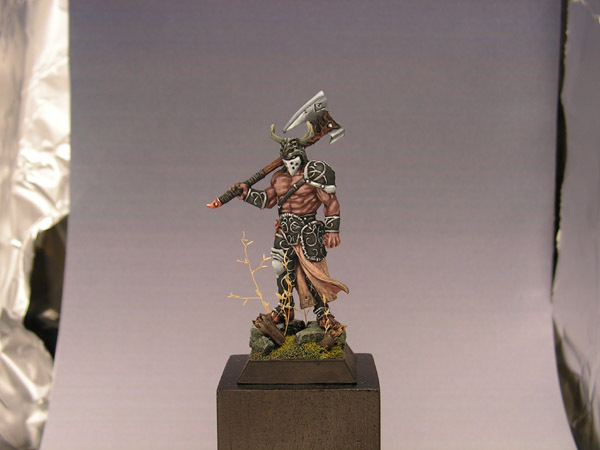 The fantasy section contains some miniatures which should have been in the historical section, but for me a subdivision like this isn't really necessary. Apart from the pictures there is a short foreword and an artists index. I already said I expected a bit more of this book. One of the major things that bothers me a bit is the paper weight. It's the type of paper which is used for magazines like White Dwarf or a manufacturer's catalog. I expected something heavier, like the first Cry Havoc magazines. The flimsy paper makes the book look a bit thin also, and probably more prone to wear and tear. But in the end it's the print quality that really counts, and this is very good. All artists were asked to submit high DPI images for the book, and this really shows. 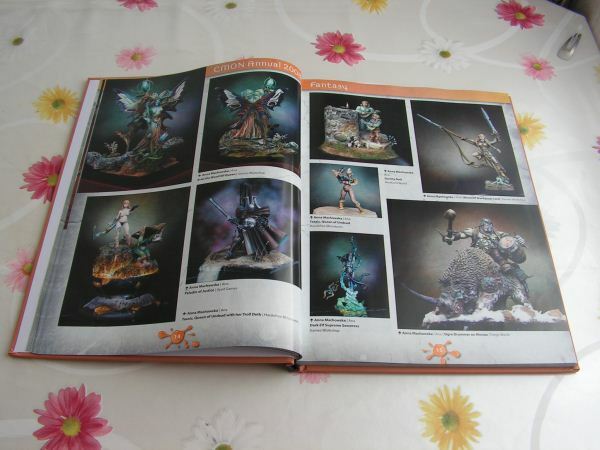 Most of the pictures in the book are top-quality, better than the average manufacturer. For example the Swordmaster by derwish or Ana's collection of pictures. As we all know miniature photography is an art on its own, needless to say there are some photography failures in the book also. Examples of this are this Imperial Guard Sentinel and this Chaos Lord. Even with the remarks I have, I think this book is worth the money. I really like publication like this, since they allow me to quickly browse some pages and soak up some inspiration. Almost all pictures are very good and the overall layout and selection is very good. If the 2009 edition comes out I will surely buy it. I'm just a bit disappointed in the paper quality and a handful of selected submissions. A must have for every miniature enthusiast who prefers printer media over browsing pictures online, a great source of inspiration.